Thank you to Oriental Trading Company for providing the craft supplies and Father's Day gifts to facilitate our Father's Day craft tutorial. All opinions expressed are my own. Do you ever wish that you could do more to show Dad how much he is loved beyond just making that one day, be it Father's Day or his birthday, a special one? How about making Dad feel special for 3 days, 7 days, or 10 days? This is a super-easy craft that will let Dad know all the things his children love about him by presenting him with a small gift that represents each reason. 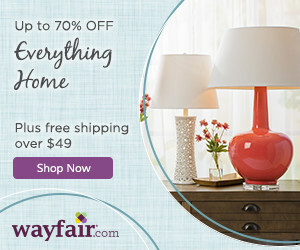 We narrowed our list down to 7 reasons and will be presenting my husband with one gift a day for the 7 days prior to Father's Day this year. Be sure to follow me on Instagram to see our daily gift for Dad starting this coming Sunday! Step 2. 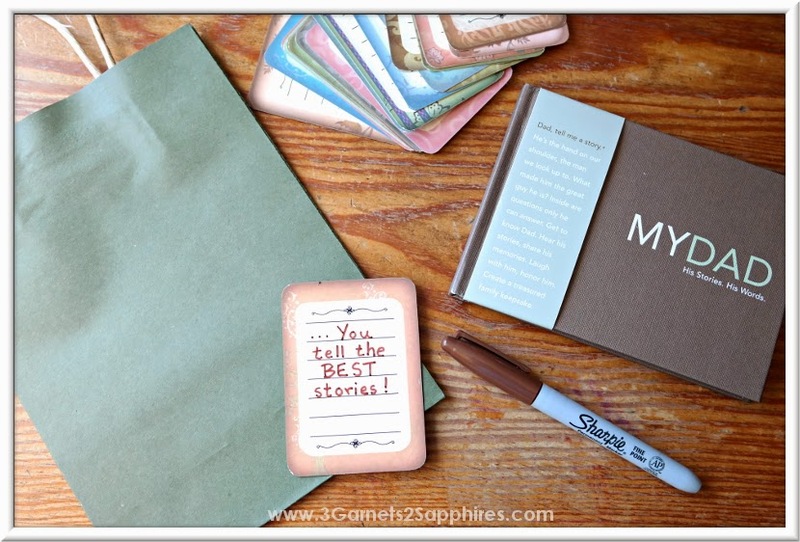 If you use colored gift bags and journal cards, match one card up with each gift bag. Then write one reason why your children love their Dad on each journal card. I used the format: " . . . (reason here)!" Step 3. Using your glue stick, apply glue to the corners, edges, and center on the backside of your journal card. Then center the card, writing side up, on the front of the gift bag and press firmly. Tip #1: The gift bags we used were approximately 9" x 6-1/2". 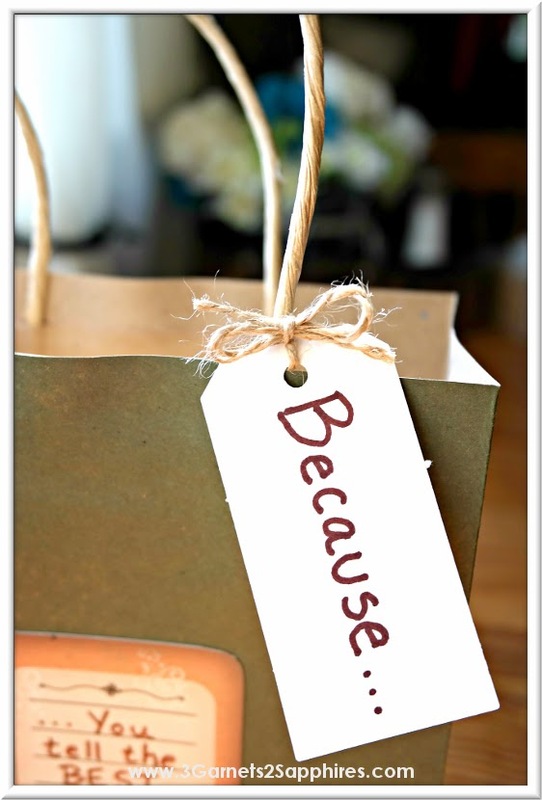 If you use a smaller gift bag, be sure to leave enough room for the "Because . 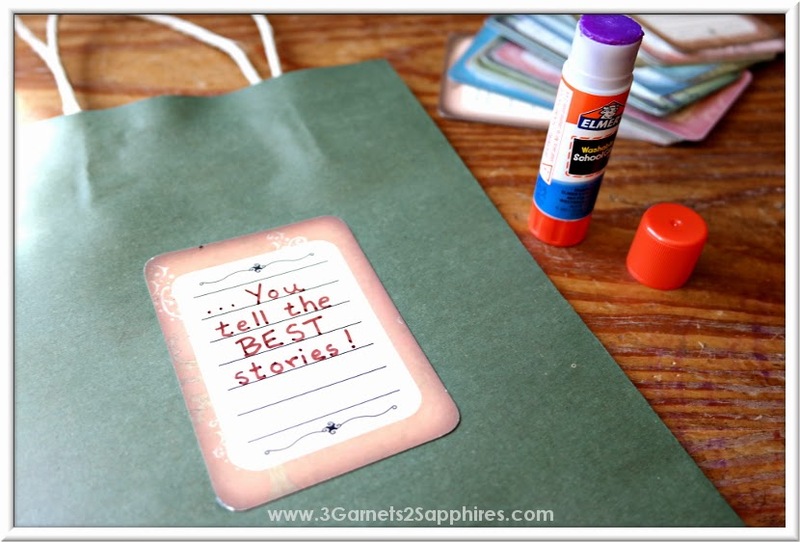 . . " tag to hang from the handle without covering the writing on the journal card. Step 4. 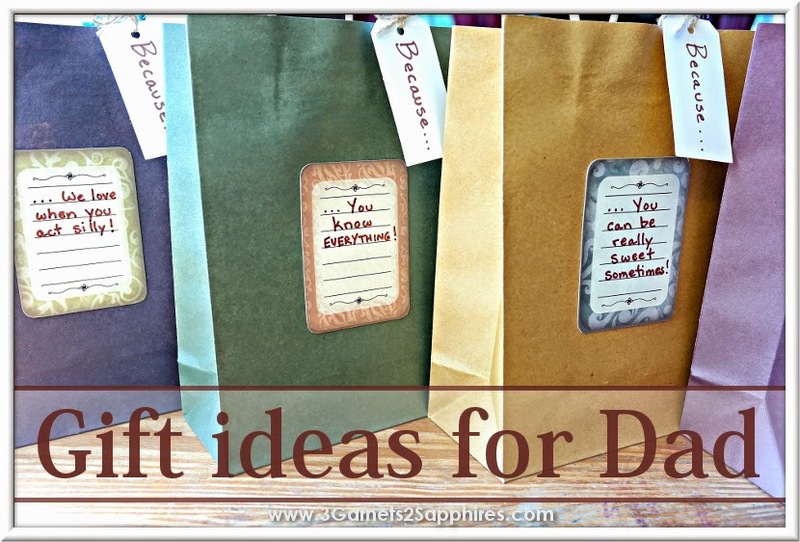 Make sure you have one tag and one tie for each gift bag you plan to fill. 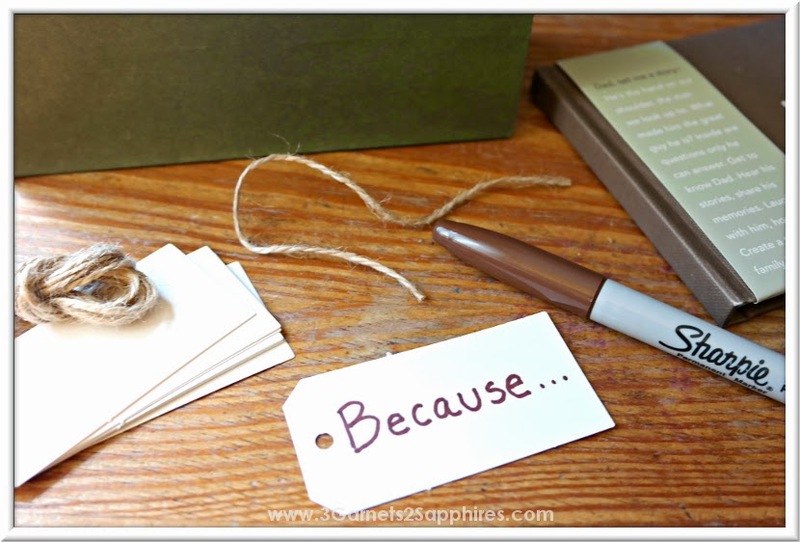 Write "Because . . . " on each tag with the tag positioned horizontally with the punched hole to the left (as pictured below). Step 5. 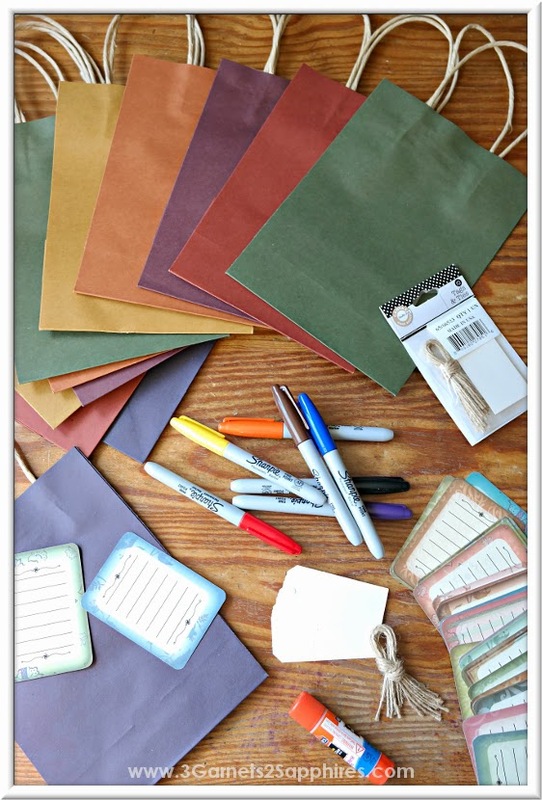 Using the provided ties (or your own string, ribbon, or yarn), secure the tag onto the right side of the handle on the side of the bag on which you have glued the journal card. Tip #2: Although I we tied our string into little bows, you could opt to just make a loop with the string and hang the tag from the handle. Just be sure not to let the tag hang down over the writing on the journal card. Step 6. This step is optional, but was a fun way for our children to get involved with the gift wrapping. 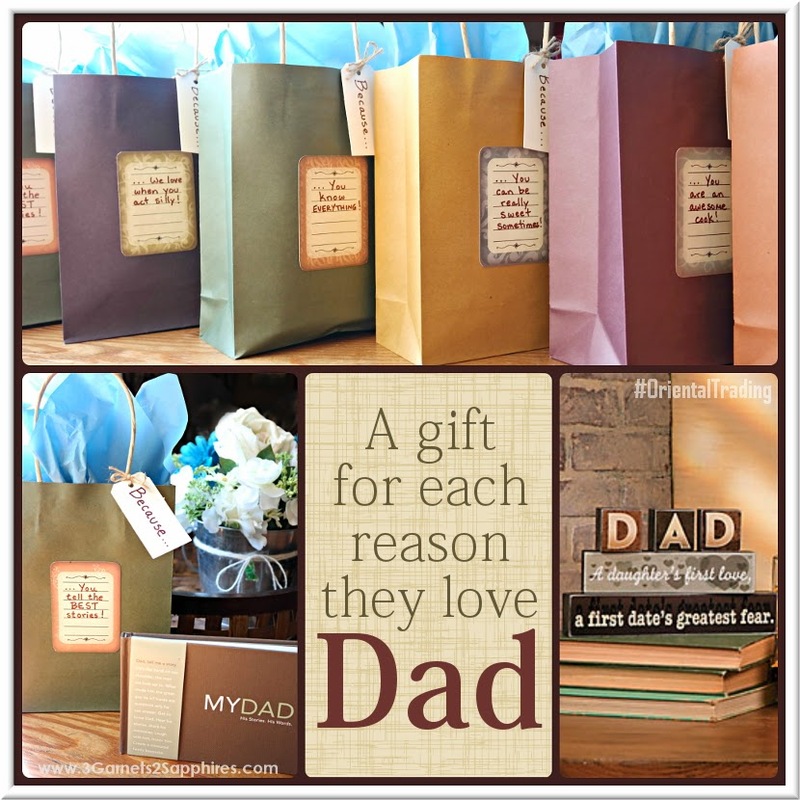 Use the Foam Self-Adhesive Dad Shapes (or other stickers and embellishments) to decorate the front of the gift bags. Tip #3: Because the words are an important part of the gift, be sure to tell your children not to cover the journal card. Also, remind them that less is more. Step 7. 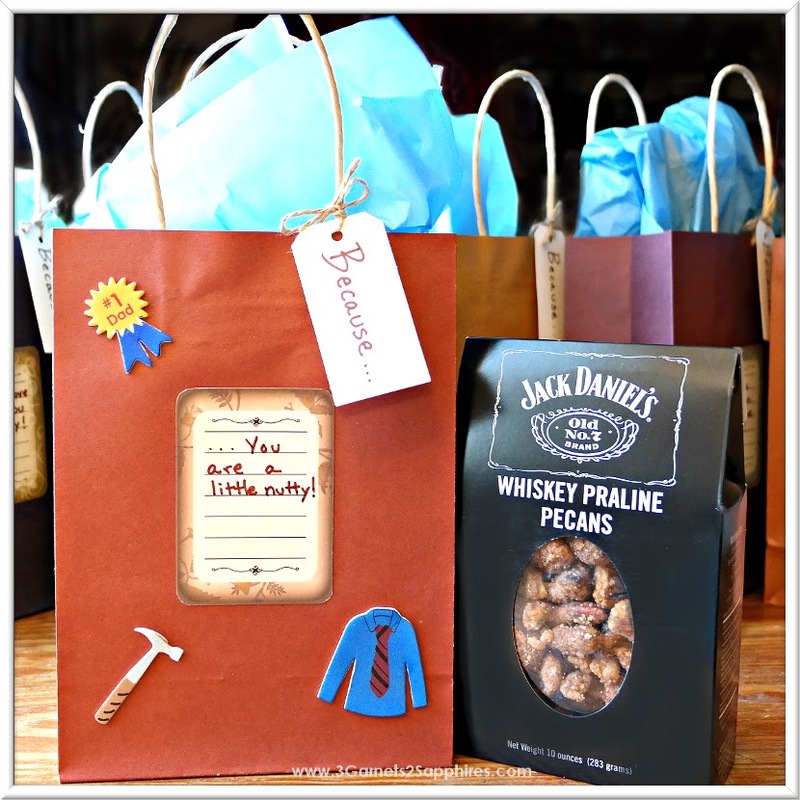 Now you're ready to fill your bag with the gifts that represent each reason your children love their Dad. Be sure to place the correct gift in the corresponding bag. 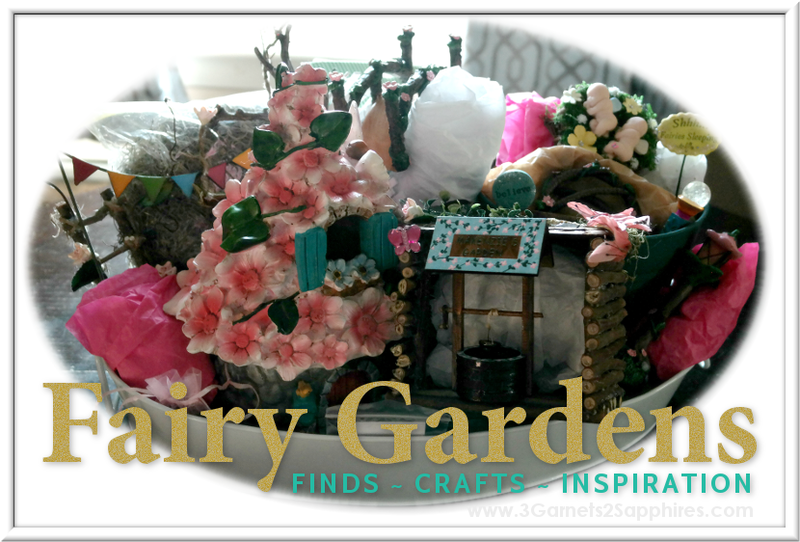 Add some tissue paper or gift bag filler to create a nice presentation. 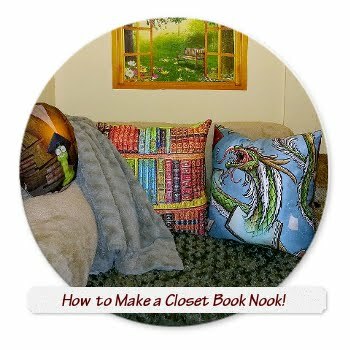 Now all you need to do is find a good hiding spot to store your filled gift bags until they are ready to be presented to Dad. You could give one gift to Dad per day to make the fun last longer or give them to him all at once! Our list of reasons and gifts . . .
Other reasons your children might love Dad . . .
Because you chase the monsters away! Because you're the king of the grill! Because you always know just what to say! 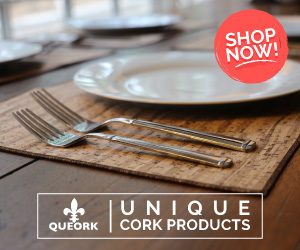 Because you can always make our ouchies better! Because you're a great listener! 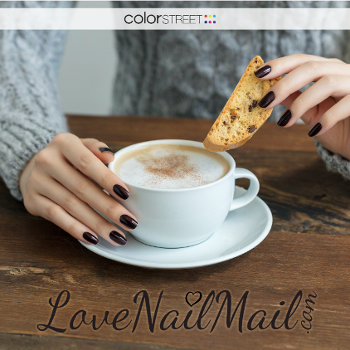 Because you always give great advice! Because you like to sing in the shower! Because you cheer the loudest during my games! Because you're the coolest Dad ever! Because you can fix anything! Because you give the best piggyback rides! Because you teach us so much!